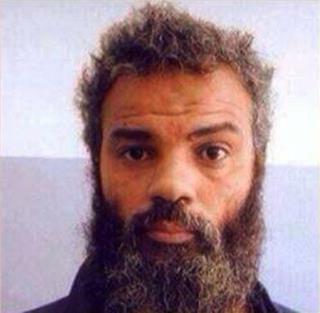 (Newser) – The Justice Department will not seek the death penalty against Ahmed Abu Khattala, the suspected Libyan militant charged in the Benghazi attacks that killed a US ambassador and three other Americans, the AP reports. The department revealed its decision in a court filing that provided no explanation. His attorneys had been imploring the Justice Department to remove the death penalty as a possibility if Khattala is ultimately convicted at trial. Khattala, captured by US special forces in Libya two years ago and brought to the US aboard a Navy ship, has been awaiting trial in federal court in Washington in connection with the September 2012 violence at a diplomatic compound in Benghazi. caliph obama would not allow the death penalty for one of his muslim pals ft hood scumbag muslim is still alive and there is no doubt at all that he killed those people! caliph obama a fatwa on you and yours! Why be shocked. It's just one of O-dumber buddies. Well, I guess that let's Hillary off the Hook.